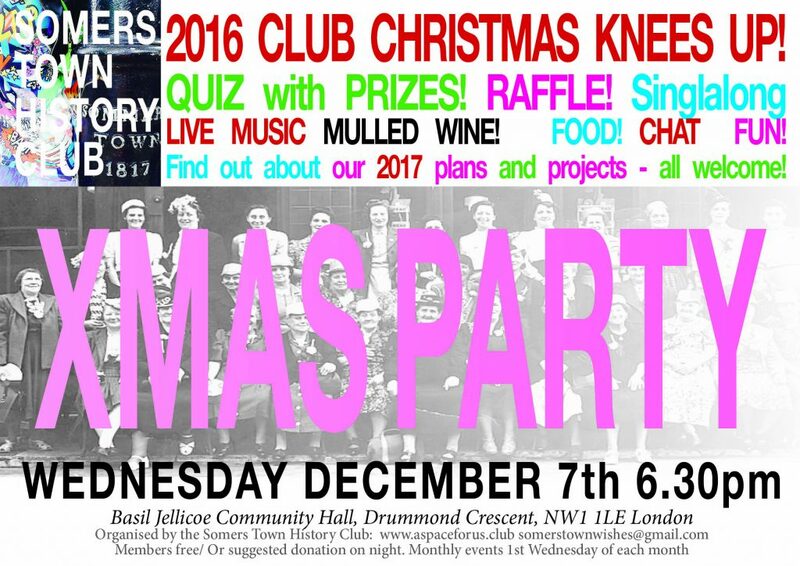 It’s coming soon….Pit your wits against our finest quiz master…with Somers Town questions from all our events this year at our Christmas knees up on Wednesday the 7th December 2016. NEWS: We have produced a set of commemorative postcards about each of the events this year – you can get your hands on the pack at the party. Food, mulled wine and a raffle – and live music from singer Mimi and old Somers Town and London songs.